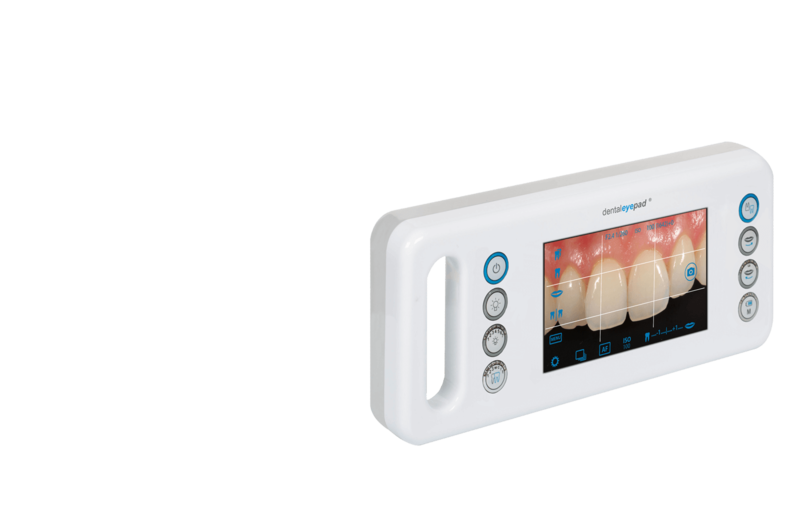 The first dental camera with “dental photo assistant”. 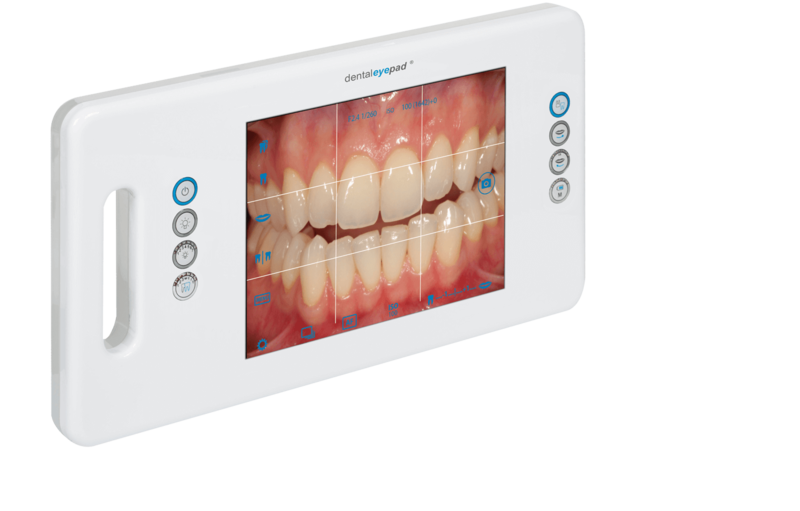 The dentaleyepad is more than just another dental camera. It has never been so easy to make perfect dental recordings. Also it has never been so much fun. Why? Each tooth is displayed in over size, every detail is exactly identifiable and in focus. Everything is easy to use and the depth of field is overwhelming. 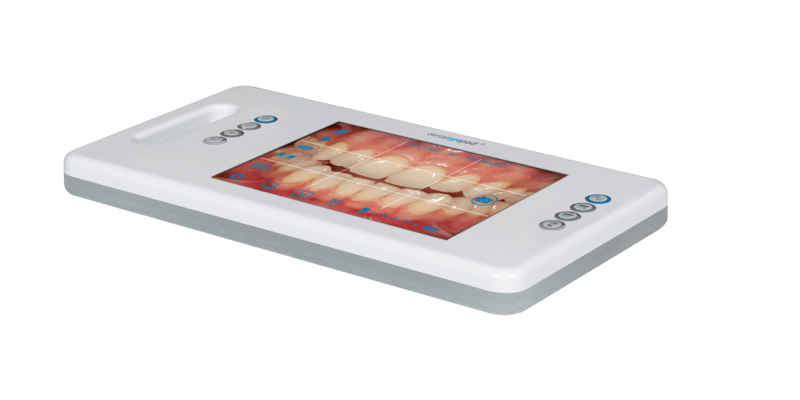 The dentaleyepad is the next evolutionary stage in dental photography. A lot of innovations and patents are implemented in our dentaleyepad . We would like to introduce some of them here. Thanks to the workflow concept, the camera knows which shots have to be taken, focuses at the right spot, zooms in and mirrors the images independently. This saves time and rework. Two or three tips of your finger and the image is on it’s way to your dental technician. Directly from your treatment site. Communication must be that simple. Click on a picture, press the “Send” button and the picture is already on your PC, or at your dental technician’s mailbox. Directly from the dental unit. Communication can be so simple and fast. 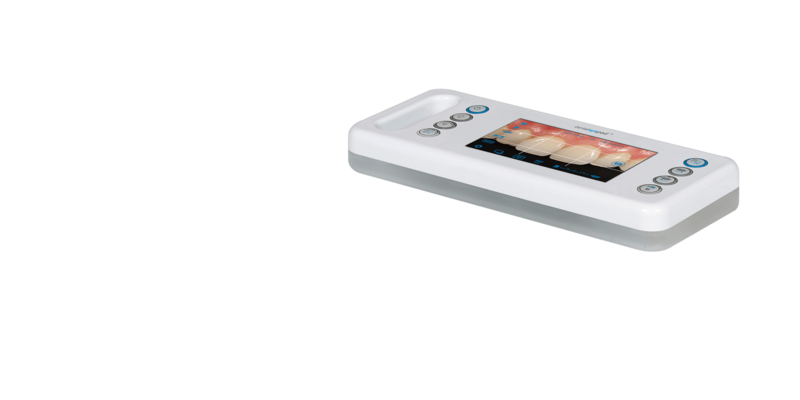 The first extraoral camera which is also an intraoral camera. You want to show your patient instant live pictures from within his own mouth? No Problem. The optional plug-in intraoral camera is small and handy. Your patient holds the dentaleyepad and you take care of the camera. The perfect marketing tool for your practice. Immediately after recording, the images are automatically transferred to their local practice server without intervention. There they are assigned directly to the current patient. You do not have to worry about anything, that’s how it has to be. 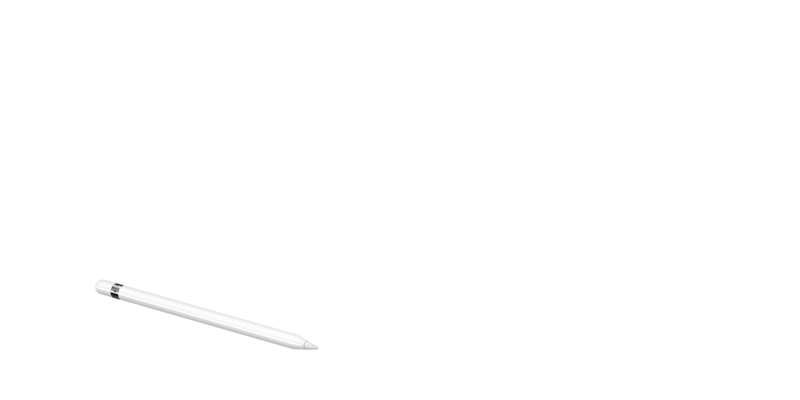 The patient data is transferred to the dentaleyepad in the background. The images are automatically stored in the correct template position for the current patient. No memory cards, no manual handling, no annoying assignment. This is simple, safe and saves an enormous amount of time.